Bach and the Jews (short talk), Leo Baeck Institute, Jerusalem, February 2017. Marxism’s Other Jewish Questions, Jews and the Left Conference, New York, May 2012. A Tale of Two Books. Benedikt Kautsky’s Teufel und Verdammte and Gustav Mayer’s Erinnerungen, Wiesenthal Institute Conference, Vienna, 2012 (sound only). “A difference in the texture of prejudice”. Historisch-konzeptionelle Überlegungen zum Verhältnis von Antisemitismus, Rassismus und Gemeinschaft [Vorlesungen des Centrums für Jüdische Studien 10] (Graz: Grazer Universitätsverlag, 2016). The Socialist Response to Antisemitism in Imperial Germany. New York: Cambridge University Press, 2007; paperback 2010.
with François Guesnet and Helen Klier: John Klier, Russians, Jews, and the Pogroms of 1881–1882. Cambridge: Cambridge University Press, 2011. ‘“Die Furcht für den Jüden”. Über den Antijudaismus in Bachs geistlichen Kantaten und seine Verdrängung,’ in sans phrase 13 (2018), 223–240. ‘Antisemitism and the Critique of Capitalism,’ in Beverley Best, Werner Bonefeld, and Chris O’Kane, eds. Sage Handbook of Frankfurt School Critical Theory (London: Sage, 2018), vol. 2, 916–931. ‘The Frankfurt School and Fascism,’ in Beverley Best, Werner Bonefeld, and Chris O’Kane, eds. Sage Handbook of Frankfurt School Critical Theory (London: Sage, 2018), vol. 2, 799–815. ‘Gershom Scholem and postwar Germany revisited,’ in Mirjam Zadoff and Noam Zadoff, eds. Scholar and Kabbalist. The Life and Work of Gershom Scholem (Leiden, Boston: Brill, 2018), 234–249. ‘Zur Beziehung zwischen Gershom Scholem und Theodor W. Adorno,’ in sans phrase 10 (2017), 85–92. ‘Theodor W. Adorno, Gershom Scholem, and the “German-Jewish Dialogue”’ in Zutot 14 (2017), 133–141. ‘Marxism’s Other Jewish Questions,’ in Jack Jacobs, ed. Jews and Leftist Politics. Judaism, Israel, Antisemitism, and Gender. New York: Cambridge University Press, 2017, 67–83. ‘“It Could All Have Been Much Worse”. Benedikt Kautsky’s Post-War Response to the Shoah,’ in David Seymour and Mercedes Camino, eds. The Holocaust in the Twenty-First Century: Contested/Contesting Memories. Abingdon: Routledge, 2017, 245–262. Review of Jack Jacobs, The Frankfurt School, Jewish Lives, and Antisemitism (New York: Cambridge University Press, 2014) in German Quarterly 89, 1 (2016), 93–97. ‘A Tale of Two Books. Benedikt Kautsky’s Teufel und Verdammte and Gustav Mayer’s Erinnerungen,’ in Regina Fritz, Eva Kovács and Béla Rásky, eds. Before the Holocaust Had Its Name. Early Confrontations of the Nazi Mass Murder of the Jews. Vienna: new academic press, 2016, 299–315. ‘“Sein Konservatismus ist nur der allerdings unabdingliche Vordergrund von etwas ganz, ganz anderem.” Zu Leo Strauss und seinem Briefwechsel mit Gershom Scholem,’ in sans phrase 7 (2015), 215–223. ‘Nachtrag zu: Selbstverleugnender Deutschenfresser? Anmerkungen zu Gershom Scholems Einstellung zu Deutschland und den Deutschen,’ in sans phrase 7 (2015), 223–224. ‘Georg im Wunderland. Über ein Beispiel marxistischer Musikbiographik,’ in sans phrase 6 (2015), 224–230. ‘Positioning Georg Knepler in the musicological discourse of the GDR,’ in Kyle Frackman and Larson Powell, eds. Classical Music in the German Democratic Republic Production and Reception. Rochester, NY: Camden House, 2015, 58–74. ‘Antisemitism,’ in Matthew Jefferies, ed. Ashgate Research Companion to Imperial Germany. Farnham: Ashgate, 2015, 143-158. ‘Adorno and the prohibition of the image: the case of music,’ in Hannah Ewence and Helen Spurling, eds. Visualizing Jews Through the Ages. Abingdon: Routledge, 2015, 294-307. ‘Selbstverleugnender Deutschenfresser? Anmerkungen zu Gershom Scholems Einstellung zu Deutschland und den Deutschen,’ in sans phrase 5 (2014), 232–240. ‘Is the Study of Jewish-Christian Relations in Europe Still Important?’ in East European Jewish Affairs 43, 3 (2013), 332-341. ‘Vorgestellt: Gertrud Mayer-Jaspers, 1879–1974,’ in Medaon 7, 13 (2013), 1–14. ‘“Die wohl letzten Gedichte meines Lebens” – drei unveröffentlichte Gedichte für Robert Oboussier von Margarete Susman,’ in Medaon 7, 13 (2013), 1–7. Review of Wistrich, Robert S., From Ambivalence to Betrayal: The Left, the Jews, and Israel. H-Judaic, H-Net Reviews. June, 2013. ‘Anti-“Philosemitism” and Anti-Antisemitism in Imperial Germany,’ in Adam Sutcliffe, Jonathan Karp, eds. Philosemitism in History. New York: Cambridge University Press, 2011, 170–189. ‘The Non-Jewish Question and Other “Jewish Questions” in Modern Germany (and Austria),’ in Journal of Modern History 82, 4 (2010), 876–901. ‘Continuity and Discontinuity in Nineteenth- and Twentieth-Century German History,’ in Canadian Journal of History 45, 3 (2010), 565–588. ‘After the “Strauss wars”,’ in East European Jewish Affairs 40, 1 (2010), 61–79. 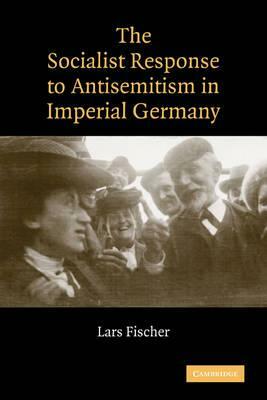 ‘The Social Democratic response to antisemitism in Imperial Germany. The case of the Handlungsgehilfen,’ in Leo Baeck Institute Yearbook 54 (2009), 151–170. ‘Contextualizing Fred Wander’s “The Seventh Well”,’ in East European Jewish Affairs 39, 1 (2009), 107–119. ‘Public Knowledge of the Shoah in Nazi Germany,’ in Holocaust Studies 14, 3 (2008), 142–162. ‘Whither Pogromshchina – Historiographical Synthesis or Deconstruction?’ in East European Jewish Affairs 38, 3 (2008), 303–320. ‘Carl Schmitt: a scholarly Nazi,’ in Political Quarterly 79, 3 (2008), 454–458. ‘Professor John Klier, 1944–2007,’ in Slavonic and East European Review 86, 1 (2008), 111–114. Review article on antisemitism and modernity in East European Jewish Affairs 37, 2 (2007), 249–255. ‘Hegel in Support of Jewish Emancipation: A Deliberate Political Act?’ in Owl of Minerva 37, 2 (2006), 127–157. ‘The meanings of genocide,’ in Political Quarterly 77, 2 (2006), 295–299. ‘Feuerbach,’ ‘Hegel,’ ‘The Jewish Question (Bruno Bauer),’ ‘Abram Léon,’ ‘Franz Mehring,’ ‘Young Hegelians,’ in Richard S. Levy (ed. ), Antisemitism. A Historical Encyclopedia of Prejudice and Persecution 2 Vols. (Santa Barbara: ABC Clio, 2005): 226–227, 291–292, 380–381, 417–418, 452, 783–784. ‘“Es ist überall derselbe Faden, den ich spinne.” Annäherungen an Franz Mehrings Haltung zu Antisemitismus und Judentum,’ in Dieter Bähtz, Manfred Beetz, Roland Rittig, eds. Dem freien Geiste freien Flug. Beiträge zur deutschen Literatur für Thomas Höhle. Leipzig: Leipziger Universitätsverlag, 2003, 129–154. ‘The Pogromshchina and the Directory: A New Historiographical Synthesis?’ in Revolutionary Russia 16, 2 (2003), 47–93. Unpublishable Review Article: Conceptualizing Antisemitism. Trying to tear down the master’s house with 1970s-style anti-imperialist (secondary) antisemitism and censorship: the call for a Commission of Inquiry into the Histories and Legacies of British Colonialism and the British Empire. The Article on Zionism the Editors of the The Palgrave Encyclopedia of Imperialism and Anti-Imperialism threw out (without notifying the author). ‘A Pearl in the Levite Crown: Fred Wander’s The Seventh Well,’ in Zutot 11 (2014), 3–5. ‘Feuerbach,’ ‘Hegel,’ ‘The Jewish Question (Bruno Bauer),’ ‘Abram Léon,’ ‘Franz Mehring,’ ‘Young Hegelians,’ in Richard S. Levy (ed. ), Antisemitism. A Historical Encyclopedia of Prejudice and Persecution. 2 Vols. (Santa Barbara: ABC Clio, 2005): 226–227, 291–292, 380–381, 417–418, 452, 783–784. ‘Karl Barth’s letter to Friedrich-Wilhelm Marquardt (5 September 1967): “I am decidedly not a philosemite”,’ in Maria Diemling and Hannah Holtschneider (eds. ), Jewish—non-Jewish Relations: Between Exclusion and Embrace – An online teaching resource.